Petroleum (a.k.a. oil) actually isn’t measured in gallons or liters, rather in barrels. One bbl equals around 42 gallons or 159 liters. The U.S. has the 11th largest oil reserve in the world. Saudi Arabia has the largest, with 264 billion barrels of oil compared to USA’s 21 billion. America consumes more oil than any other country—20 million barrels daily. 45% of crude oil is comprised of gasoline. Petroleum was used to produce the device you are reading on, right now. If it’s a tablet, computer, or phone, petroleum was used to create it. Oil isn't just used for gasoline in cars. It powers the industries its and machines. Petroleum oil nicknames include “Texas Tea” and “Black Gold." To drill oil from the ground, engineers first create a tunnel, and use pipes to push oil forward, and eventually, the oil erupts through the tunnel and pipe(s). The U.S. has experienced 25+ oil spills (land or sea) in the past 10 years. That’s over 2 every year. Oil has been used for over 5,000 years. Ancient Babylonians and Sumerians used crude oil. Texas has the largest oil reserve in the U.S. In fact, the state is responsible for one-fifth of all of the oil America produces. The word "petroleum" literally translates as "rock oil." It stems from the Greek word "petra," meaning rock, and the Latin word "oleum," meaning oil. 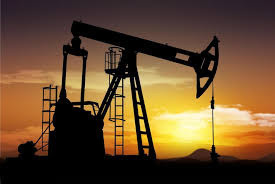 Crude oil is considered the "mother of all commodities" because of its use in the manufacturing of numerous products, including gasoline, synthetic fabrics, plastics and pharmaceuticals. One barrel of oil accounts for about 19.15 gallons of gasoline, 9.21 gallons of diesel, 3.82 gallons of jet fuel, 1.75 gallons of heating oil and about 7.3 gallons for other petrochemical products like tar, asphalt, bitumen, etc. Products like fertilizers, plastics, car tires, ammonia, perfumes and even bubble gum are synthesized using petroleum products obtained during the crude oil refining process. Crude oil ranges in consistency from water to a nearly solid state. New York has the lowest per-capita energy consumption of any state. In 2009, the United States imported about 51% of the petroleum it consumed during that year. OPEC countries hold over three-quarters of the world’s proven oil reserves, and that number is rising. The U.S. has over 200,000 miles of oil pipelines within its borders. Oil is non-renewable energy source and belongs to fossil fuels, together with coal and natural gas. Oil was formed more than 300 million years ago. Oil has been used for more than 5000 years (ancient Babylonians and Sumerians had used crude oil). Oil can be found under ground in areas of rock that are porous and contain the oil within the rock itself. Oil is made into many different products like for instance clothes, fertilizers, plastic bottles, pens and lot of other products. Oil as well as other fossil fuels emits dangerous greenhouse gases which cause the global warming. Oil consumption is biggest in USA where daily consumption passes 19,5 million barrels. Saudi Arabia’s Ghawar oil field contains about 85 billion barrels of oil (the world’s largest). Oil is created from the decomposition of organic materials under intense heat and pressure over millions of years. The largest oil spill in history, the Deepwater Horizon oil spill in 2010, spilled 4.2 million barrels of oil into the Gulf of Mexico. According to a major study, about 80% of all oil spills are caused by human error. Oil has been used by people for over 5,000 years, once used as a medicine for treating ailments such as gout and frostbite. Saudi Arabia is the largest oil producer today and has the largest amount of reserves (267 billion barrels). The U.S. is the biggest consumer of oil at over 19.5 million barrels a day. Thanks to large amounts of oil reserves and government subsidies, as of December 2010, the average price of gas in Caracas, Venezuela is 12 cents per U.S. gallon. The U.S. has the 11th largest national oil reserves in the world at 21 billion barrels. The U.S. has 4% of the world’s population but uses 25% of the world’s oil.